Love. Magic. Revolution...Gita Trelease’s debut fantasy about an orphaned girl who uses dark magic to save her sister and herself from ruin is “a soaring success” (NPR)! Born in Sweden to Indian and Swedish parents, Gita Trelease has lived in many places, including New York, Paris, and a tiny town in central Italy. She attended Yale College and New York University, where she earned a Ph.D. in British literature. Before becoming a novelist, she taught classes on writing and fairy tales. Along with her husband and son, Gita divides her time between a village in Massachusetts and the coast of Maine. 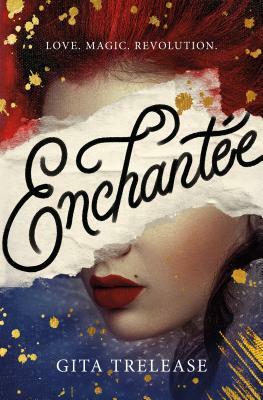 Enchantée is her debut novel.